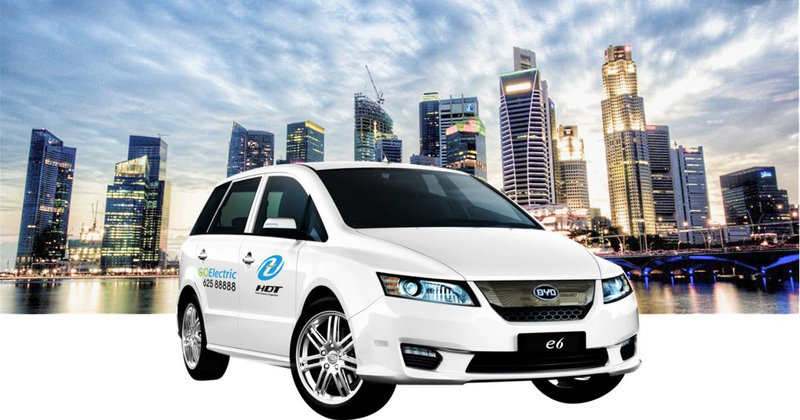 Hold Dreams Together (HDT) Singapore Holdings might yet become first ever taxi operator with a fully electrical fleet. In June 16 2016, LTA confirmed that HDT was the sole applicant for phase 2 of their electrical car test-bed. HDT has declined to comment on an exact start date for their eTaxi trials. LTA’s test-bed, which started in 2011, is currently testing the viability of electric taxis, buses and even car pooling services in Singapore’s urban environment. The Right Company For The Job? Currently, HDT looks like the only transport provider with any experience on their portfolio. Billing themselves as “Singapore’s first electric vehicle transport” provider, HDT is definitely no stranger to this game. 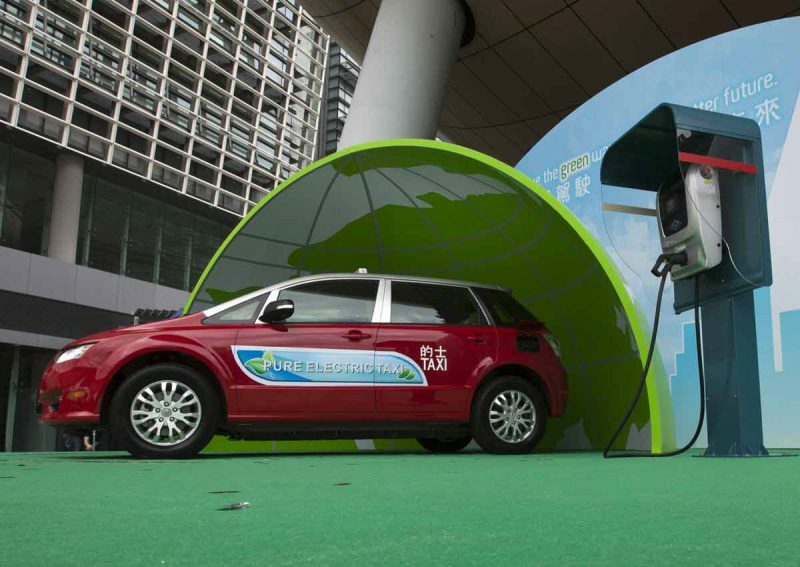 A Singaporean startup of 3 years, HDT currently operates a private hire fleet of 30 e-cars. 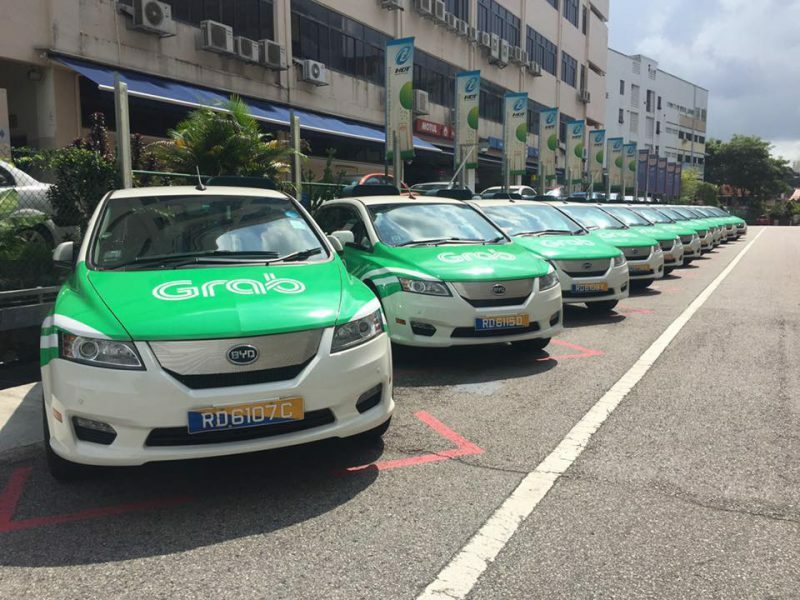 You can try riding an electrical cab today by booking them through the Grab Car App. They also provide eBuses and eForklifts which, they claim, run cheaper than their petrol counterparts. HDT is working closely with electrical vehicle manufacturer Build Your Dreams (BYD) for their e6 electric cars. These cars are said to have a range of 300km per full charge, with each charge taking only 20 to 30 minutes to complete. BYD, which is partly owned by Warren Buffett’s Berkshire Hathaway, had started their own eTaxi campaign in Hong Kong back in 2014. It was however branded a “failure” in November 2015 by Ding Haimiao, Assistant to the General Manager at BYD. BYD expected to have 3,000 eTaxis by 2015, but never went beyond their initial launch of 45 eTaxis. BYD cited “resistance from a number of industry figures, especially established taxi drivers” and lack of governmental support as the main reasons why their campaign never took off. If HDT is successful in their application they will be offering an entirely different business model for taxis. The Straits Times reported that HDT are offering “monthly salaries of S$1,800 to S$3,800” to cabbies, with CPF contributions and other perks that full-time workers enjoy. 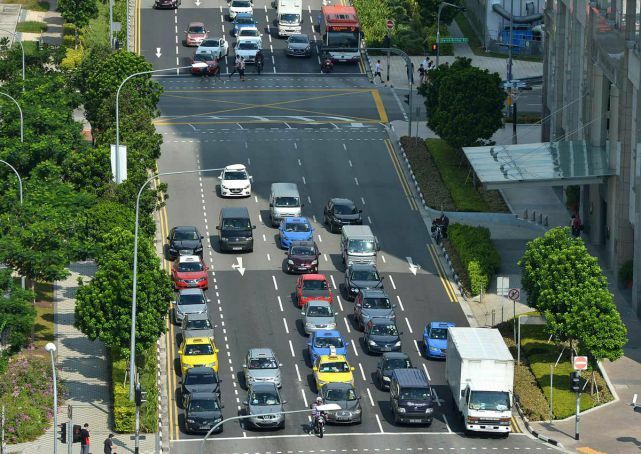 This test will allow LTA to see how well electrical vehicles(EV) can be managed on Singapore’s streets. Possible problems might be how Singapore’s driving conditions affect battery life, or if logistics operators have enough places to charge their vehicles. The keyword here is vehicles – meaning, other than HDT’s 100-strong taxi fleet, the test-bed will introduce a mix of 900 buses, cars and vans running entirely on batteries. As an infrastructure test, 2,000 additional charging points will be available island-wide as part of the test-bed. These power points are expected to serve more than 1,000 electrical vehicles. Electrical cars are an exciting prospect for certain as they have zero on-road emissions. Imagine residential areas, or even busy roads without smog! Think of all the space saved and hazards gone as well when petrol stations are rendered obsolete. You can also charge your car right at home, or at any charging point outdoors. This means no more deciding what fuel you’re going to buy, or what tricks you can use to extend your fuel. HDT is well-positioned to jumpstart the electric car market as soon as LTA exits the testing phase. All signs point toward a vested interest by the government to see the implementation of electric cars through. If all goes well, we won’t have to choke while walking around Orchard Road anymore!